Not sure which forum category I should put this review – mods please move to the appropriate forum! Yongnuo is a Chinese company that has made a name for budget photography equipment (including remotes, flashes, and lenses), but with decent quality. 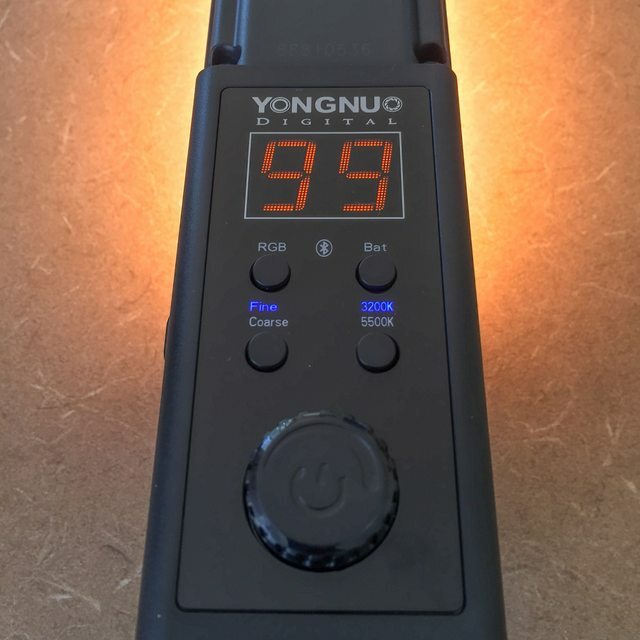 The Yongnuo YN360 is a popular LED video light that was introduced in 2016. Whilst there are many reviews of this light, few are technical. This review is intended on filling in these gaps for portrait and light painting photographers. There are a few versions of the Yongnuo YN360, with two product generations. There are both 5500k or 3200-5500k white options with RGB. The thinner YN360S only has white options, with no RGB. The version reviewed is the first generation YN360 product, with variable 3200-5500k white, and RGB colour mixing. 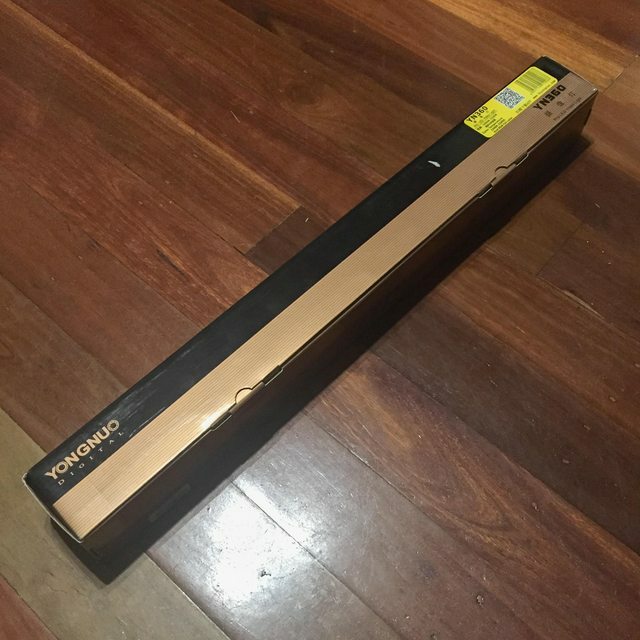 The Yongnuo YN360 arrived in a long branded cardboard box. The contents included the light itself, a carry bag with straps, warranty card, and instructions in English and Chinese. It is important to note that no battery, battery charger, or power supply is included in the first generation product, and this needs to be taken into account as it will increase the overall cost of purchase. More on batteries later in the review. The YN360 is 58.3cm long, 4.8cm wide, and 2.4cm thick. 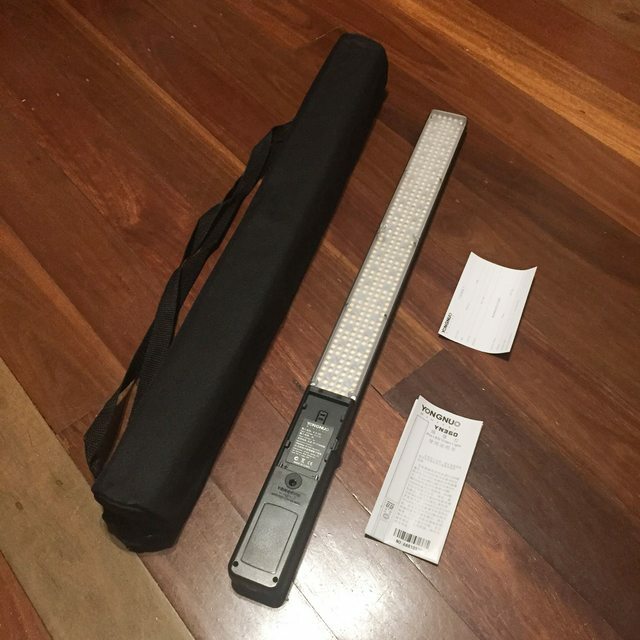 40cm of the length is provided for the LEDs, and the remaining 18cm is for controls (on backside), grip, and battery or power attachment (on front side). 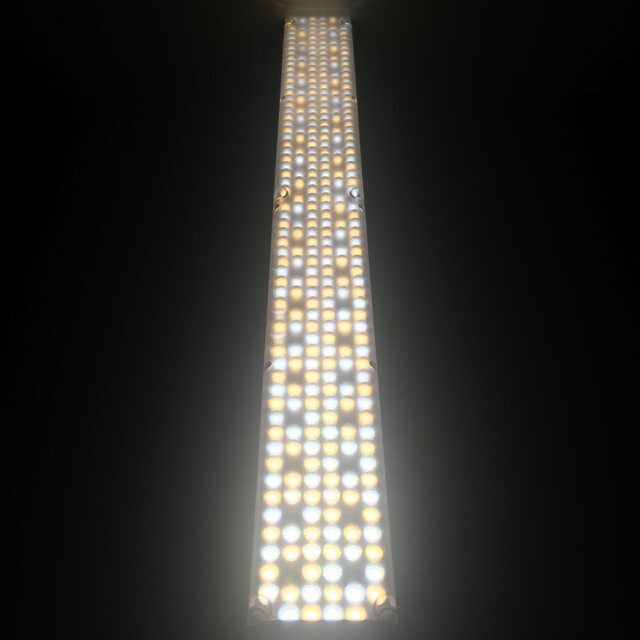 There are 160 LEDs with 3200k warm white, and 160 LEDs with 5500k neutral/cool white. These are arranged in a repeating pattern around the 40 RGB SMD LEDs. A plastic cover protects the LEDs. On the backside is a warm filter that can removed and placed in front of the LEDs using a magnetic attachment. This creates a very different warm tint to using the 3200k white LEDs. There is a tripod thread in the base, which allows for attachment to a tripod, most easily with the light in the vertical position. Construction is plastic, and the quality is good for the price. The YN360 should withstand small drops and scrapes, but is unlikely to stand up to harsh treatment. I would be very careful when attaching it to a tripod stand to make sure everything is stable. As previously mentioned, batteries were not included. Yongnuo recommends the Yongnuo NP-F750 and charger. This is a Yongnuo copy of the much more expensive Sony NP-F750. Any generic NP-F330, NP-F530, NP-F550, NP-F570, NP-F750, NP-F770, NP-F930, NP-F930/B, NP-F950, NP-F950/B, NP-F960, NP-F970, or NP-F970/B should also work, but with varying runtimes depending on the capacity. I tested with a generic brand NP-F750 and charger, which cost around US$50 and provided almost 2 hours of runtime on maximum output from 4400mAh capacity. When being transported, the battery should be removed to prevent accidental activation. The more expensive second generation YN360 (not reviewed) has internal li-ion batteries included. The YN360 can also run off a 12V/5A power supply for studio work. 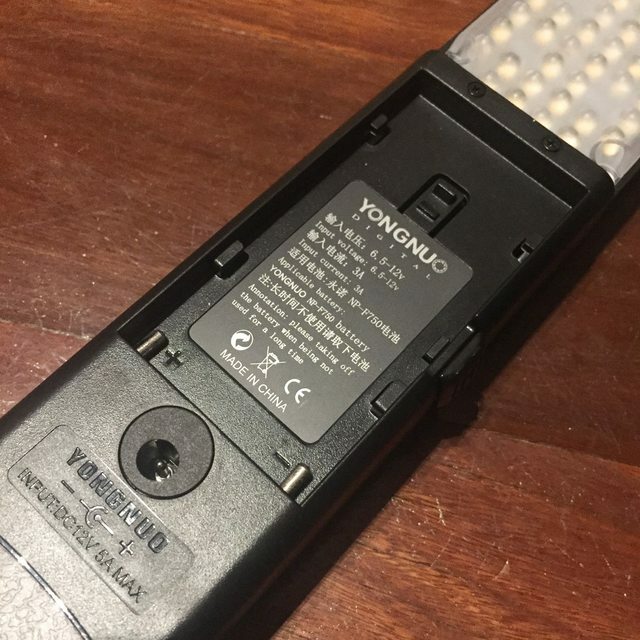 Whilst any quality 12V/5A power supply should suffice, the warranty is only covered using a Yongnuo brand power supply. Power – press on/off switch. This will turn on in the previously used memorised mode. Brightness – rotate on/off switch (clockwise to increase brightness). RGB colour mixing – press RGB button to toggle between colour (the RGB text above the button illuminates to the colour being adjusted). The colour output is adjusted by rotating the on/off switch (clockwise to increase ). By pressing the fine/course button changes the steps between 1 and 10%. I preferred course setting. White colour temperature adjustment – press 3200k/5500k button to adjust the brightnesses of 3200k warm white and 5500k neutral/cool white (the 3200k/5500k text above the button illuminates to the colour temperature being adjusted). 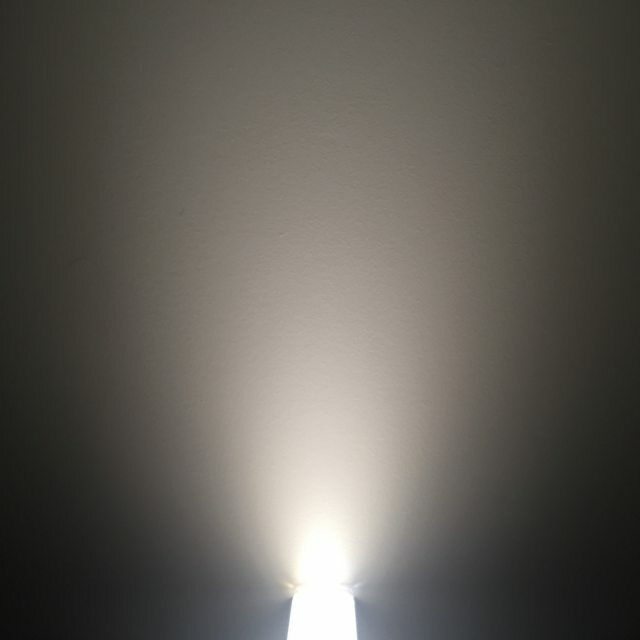 The colour temperature can be adjusted by rotating the on/off switch (clockwise to increase brightness). Again, pressing the fine/course button changes the steps between 1% and 10%. Battery check – pressing the batt button will display the estimated battery remaining in 9 steps between P0 (0-10% remaining) and P9 (90-100% remaining). 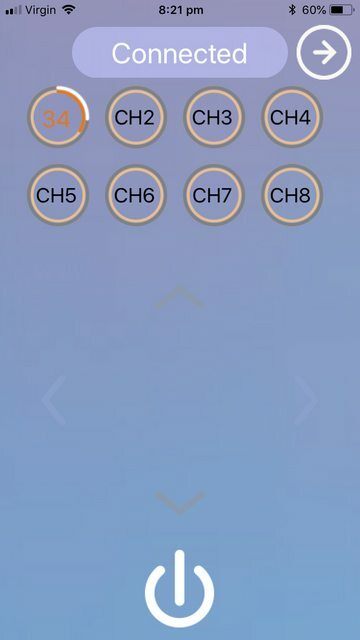 The Yongnuo smartphone app allows for easier adjustment of the colours compared to the control panel. Bluetooth connectivity is required, which connects quite quickly as long as the app and Bluetooth are both running. The app turns on in white mode, where tapping up/down arrows increases/decreases 3200k brightness respectively, and tapping left/right arrows decreases/increases 5500k brightness respectively. Pressing one of 8 channels saves the current setting, though I had issues recalling these settings. A right swipe at the top of the screen changes to Color Mode. A colour palette allows for fine adjustment of the required colour when in Colour Mode, which is much easier than via the on-board control panel. Pressing the off button turns that light off, but selecting another colour turns the light back on immediately. 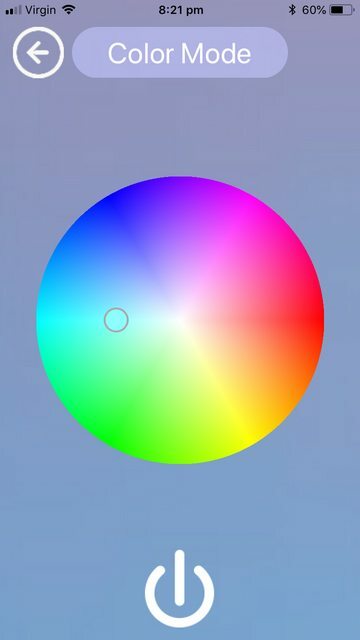 It is not possible to save any colour presets. Overall, the user interface is easy to learn and use. I like having the choice of on-board or smart phone app control. However, the app could be more refined. 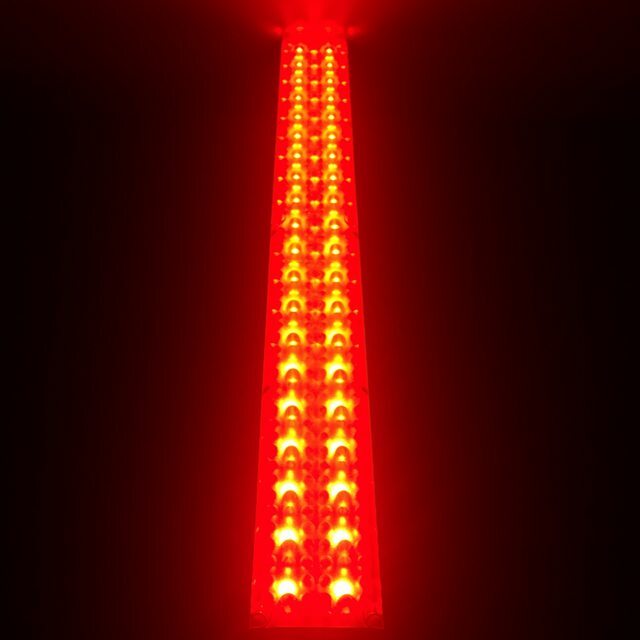 The Yongnuo YN360 has 160 LEDs with 3600k warm white, and 160 LEDs with 5500k neutral/cool white. These are claimed to have a Colour Rendering Index of >95, which is excellent for skin tones, and is a big improvement over the “washed out” look from many LED flashlights. 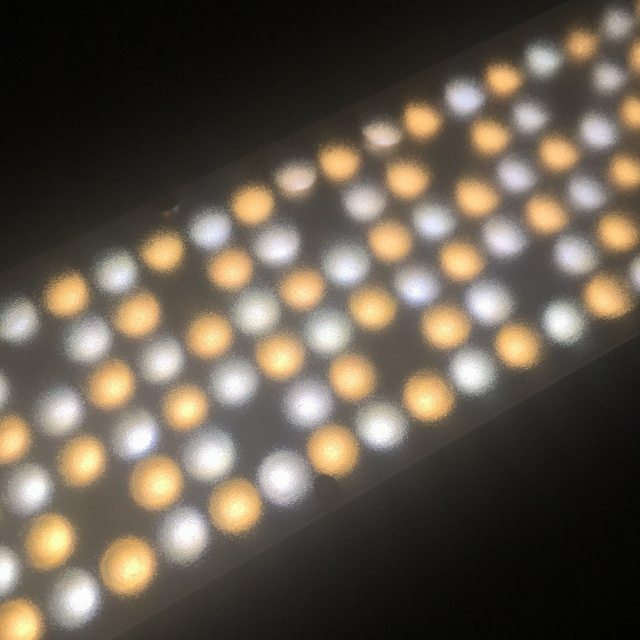 These white LEDs are arranged in a repeating figure 8 pattern around the 40 RGB SMD LEDs. The tints are excellent, with the 5500k white being almost pure white (though my camera picked up a hint of purple). The beam pattern is very floody, with a 180 degree horizontal diffused beam. This is great for evenly illuminating a scene, and creates interesting effects for backlit photos. The white beam has slightly more forward projection, and the RGB colour beams have slightly more off-axis projection. The vertical beam is more controlled at around 100 degrees. There appears to be no option for a more throwy beam. With all the white LEDs on (3200 and 5500k on full), I tested the lumen output at approximate 2500 lumen. 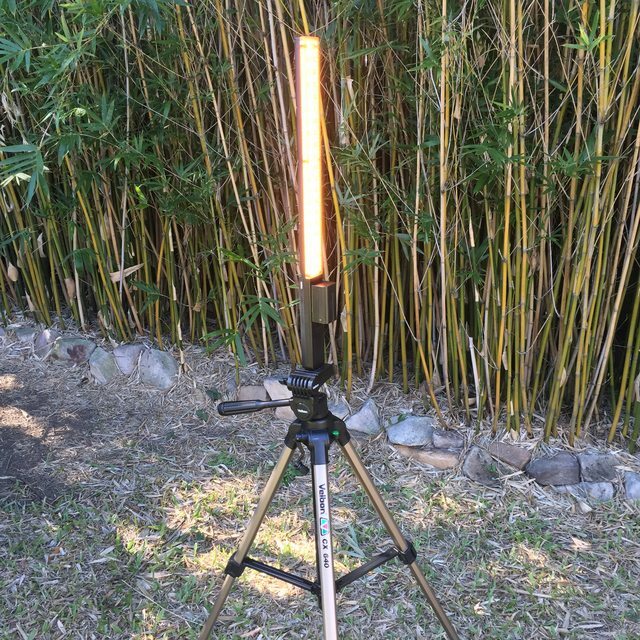 This can evenly illuminate spaces up to around 15m, or 10m with the warm filter. Even at 2500 lumens, the heat was handled very well compared to more compact flashlights. There was also no fast step-down in brightness that occurs with most flashlights. With the YN360 placed 60cm from a model, camera at 2m from the model, a perfect exposure was achieved at f/3.5, 1/60, ISO100. A wider aperture will allow for faster shutter speeds or lower ISO. With the RGB colour LEDs, I found the red, green, and blue output to be at approximately 50% of the lumen output of the Ledlenser P7QC and Fitorch MR35. This was far less than what I was expecting. 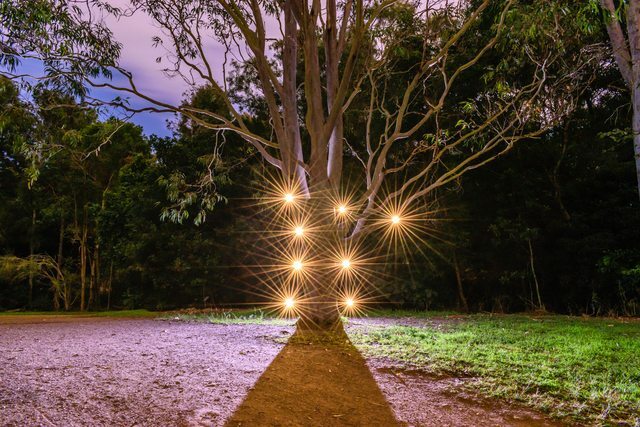 However, the beam still allows for even illumination of rooms or small outdoor spaces up to around 6m. The output is OK for close up studio work which is the primary purpose of the YN360 as long as wide apertures and/or high ISO are used. When mixing the colours, something the aforementioned flashlights cannot do, then output may be greater. The colour mixing is excellent, with no colour casts. 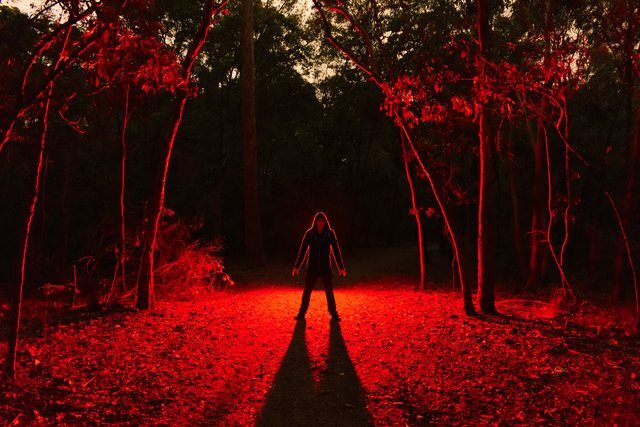 On red at full output, with the YN360 placed 60cm from a model, camera at 2m from the model, a perfect exposure was achieved at f3.5, 1/60, ISO800. A wider aperture will allow for faster shutter speeds or lower ISO.No PWM was detectable. Overall, the YN360 is a great value for money light for video and photography use. It is very portable, easy to use, has a floody beam, and impressive white light output that can render skin tones well. RGB colour output is less impressive, and required use of fast lenses and/or high ISO to achieve good results. I will definitely be planning on using the YN360 for many future light painting scenes. 5500k on 100%, 12 seconds on time. f/13, ISO400.